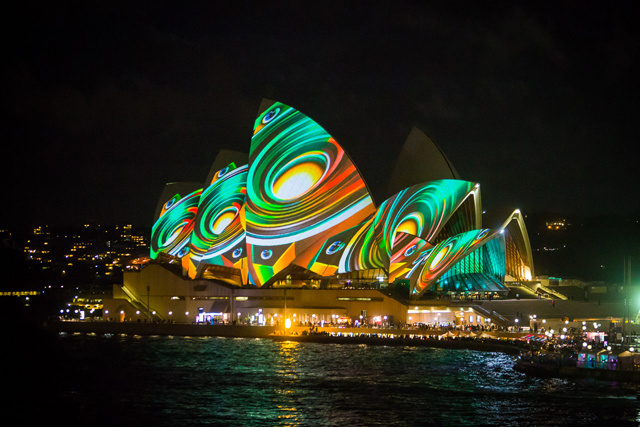 The Vivid Sydney festival kicks off today in, well, Sydney, Australia. It's host to music, events, and panel discussions as well as spectacular light installations and projections that light up some of the city's most well known landmarks. These include the Sydney Harbour Bridge (which we'll be documenting in the coming weeks), Sydney Opera House, Customs House, the Museum of Contemporary Art, and many other venues.